Viknesh Vijayenthiran April 7, 2017 Comment Now! 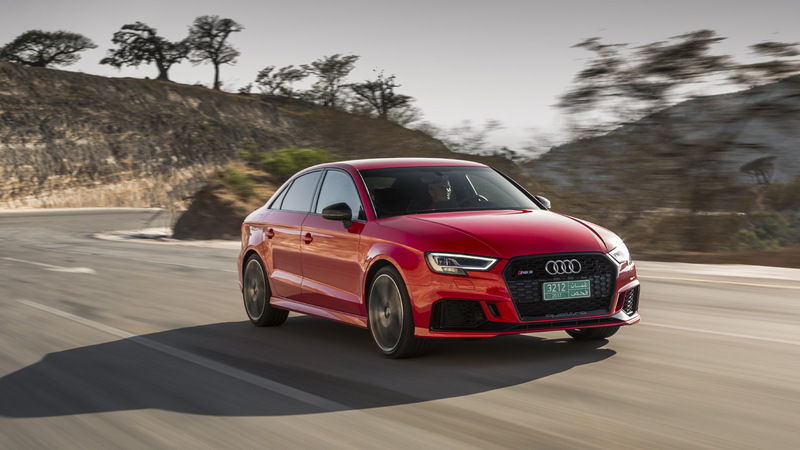 Audi Sport will lob its new RS 3 sport sedan onto the market this summer, with a starting price of $55,875, which includes a $975 destination charge. 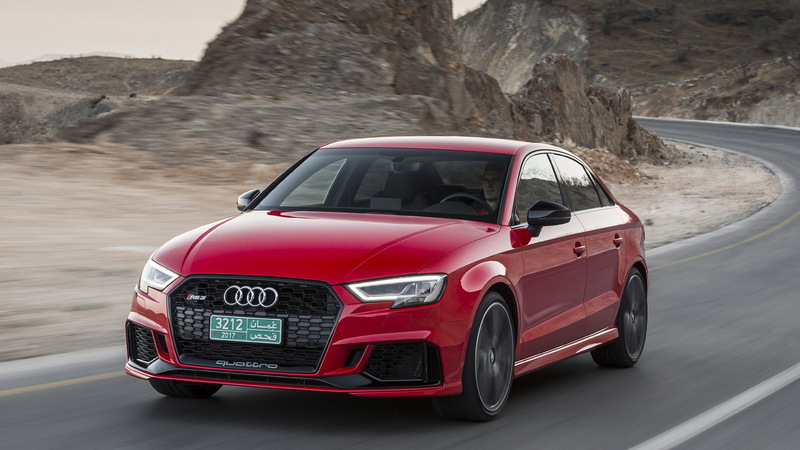 Rivals like Mercedes-AMG’s CLA45 and BMW’s M2 (coupe body style only) are less expensive at $50,425 and $52,695, though the RS 3 is the most powerful thanks to its 400 horsepower and 354 pound-feet of torque. That output comes from a turbocharged 2.5-liter inline-5 that lends the car a unique sound. The 1-2-4-5-3 ignition sequence produces a special rhythm and a distinct engine note that can be intensified by opening the flaps of the standard sport exhaust system. The engine is mated to a 7-speed dual-clutch transmission and spins all four wheels. 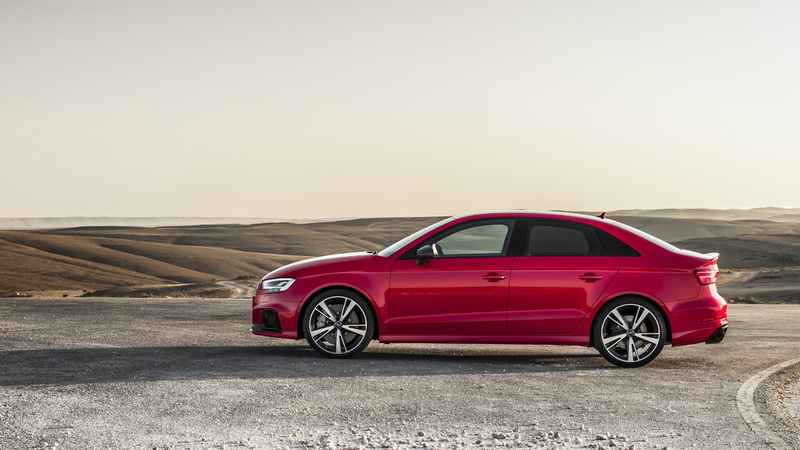 Audi claims a 0-60 mph time of 3.9 seconds. The top speed is normally governed to 155 mph though this can be raised to 174 mph by adding the available Dynamic Plus package. The standard car includes 8-piston calipers at the front, 19-inch wheels, LED lights, Nappa leather-lined sport seats, and a three-spoke, multi-function steering wheel. Worthwhile options include the aforementioned Dynamic Plus package which also adds carbon-ceramic brakes, as well as Audi’s digital instrument cluster and premium Bang & Olufsen sound system. 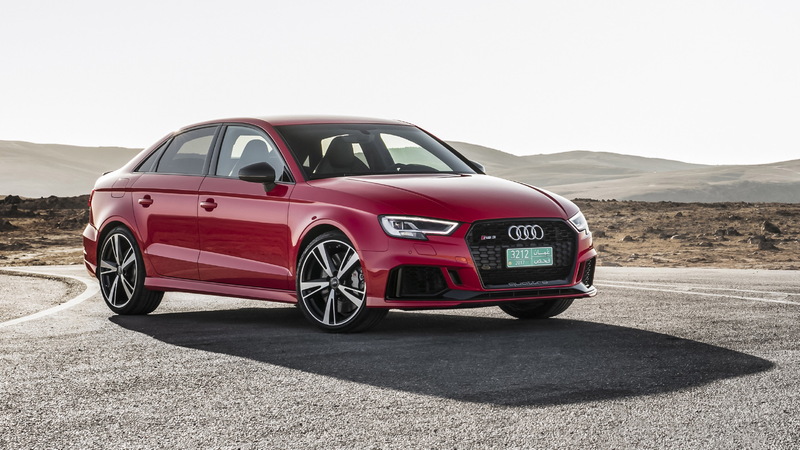 The RS 3 will make its local debut next week at the 2017 New York auto show. The first examples to go on sale with be limited-edition 2017 models loaded with a number of extras such as carbon fiber interior trim, the Bang & Olufsen sound and the digital instrument cluster. 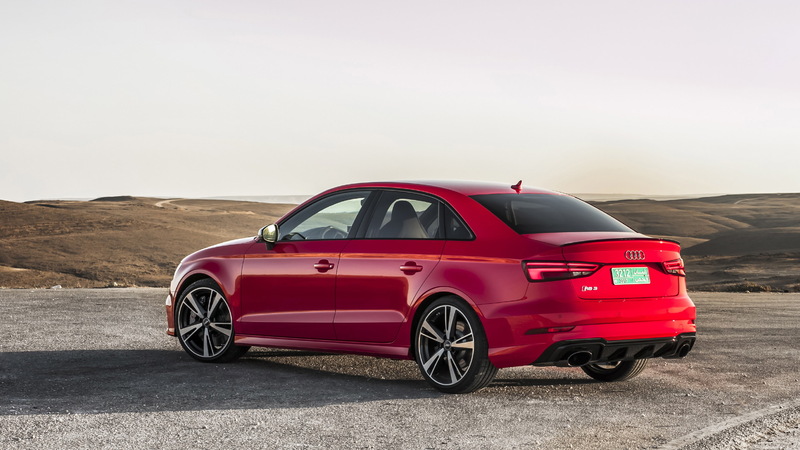 Sadly, the United States still misses out on the RS 3’s hatchback body style on offer overseas. Note, Audi Sport has also just announced its new TT RS for the U.S. market, priced from $65,875. A new RS 5 is also just around the corner.